Having a slipped disc is a debilitating condition that can leave people bound to their beds or sofas due to extreme pain. Although caused by a slipped disc in the back, leaking fluids into the spine, it can cause pains not only in the back but all over the body. Although surgery is always seen as a last resort with a slipped disc, one in ten cases will need surgical treatment to be resolved. What is the E Spine Institute Disc Surgery? The E Spine Institute Disc Surgery is devoted solely to the diagnosis and treatment of diseases of the spine. They have highly trained surgeons and pride themselves on their fantastic customer care as well as their technologically advanced diagnostic and surgical procedures and methods. They want to ensure that the journey of the patient to wellness is a pleasant one. Lumbar Disc Replacement – this type of surgery fully replaces the slipped disc with a patented ProDisc implant. It is meant to restore, at a minimum, the natural range of mobility and flexibility. Laminaplasty – this is a procedure whereby the compression on the spinal cord is relieved. Often when choosing for this type of surgery, the spinal cord will be compressed at multiple levels. As it allows for decompression, it maintains good stability for the patient. Laminectomy – this procedure removes the lamina (the bony roof of the spinal canal), making the spinal canal bigger and hence allowing for more room for the spinal cord or nerve roots. It is meant to relieve both pain and other symptoms. Anterior interbody spinal fusion – where the operation is performed through an incision in the patient’s abdomen. 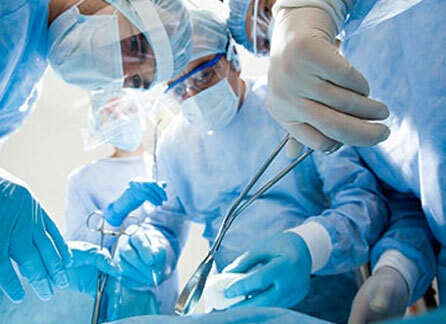 Generally, the surgery is an essential procedure to the patient’s health and will hence be covered by your insurance. It is your own responsibility to check this, though. Like many excellent surgical centres, E Spine Institute Disc Surgery is based in the United States. They can be found in the St John’s Health Centre in Santa Monica, California. The health centre is currently undergoing refurbishment, designed to facilitate the best patient care in the United States. However, as their building work has been carefully phased, the centre will remain open and fully functional during the refurbishment work. So, if you require disc surgery, you can rest assured you will receive the best level of care at E Spine Institute Disc Surgery. They have fully trained staff and pride themselves on their patient care, both before, during and after surgery, meaning you can rest assured that your spine is in the best hands.